Is it Better to Hide a Serious Sin or Reveal It? “20. If the sin occurred before he was appointed as an elder or a ministerial servant, the elders will need to take into consideration the fact that he should have mentioned this possible impediment to his being qualified when elders interviewed him just prior to announcing his appointment. Moreover, the nature of the sin may reflect greatly on his qualifications to serve. For example, the sin may involve past child abuse, and this would likely disqualify him for many years.—w97 1/1 pp. 26-29; w77 pp. 697-698. See October 1, 2012, letter to all bodies of elders regarding child abuse. Excerpt From: WATCHTOWER. “Shepherding textbook (ks10-E).” iBooks. 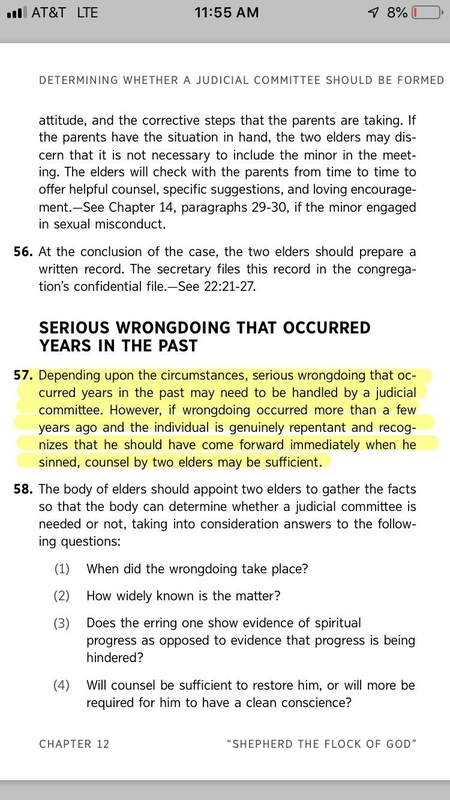 From the excerpt you've posted out of the elders manual, putting more than a few years between the wrongdoing and a confession to the elders could avoid a judicial hearing and discipline. Notice that the primary phrase in the topic includes "If it comes to light or an appointed brother confesses . . . ."
One other point about the judicial committee is that it is also not mandatory even if the sin happened in a relatively recent time period. The primary point is the brother's ability to serve in the congregation without reproach. Some of this appears built into the scriptural context. (1 Timothy 5:18-20) . . .” 19 Do not accept an accusation against an older man except on the evidence of two or three witnesses. 20 Reprove before all onlookers those who practice sin, as a warning to the rest. To answer the question about whether it is better to hide or reveal our own sins, it is better to confess before Jehovah and before the congregation. Everything done in the darkness will come to light. It's true that some sins can remain hidden for an entire lifetime, but is our own ego so important that we believe the congregation must continue to see the benefit of services we provide as an elder or ministerial servant? There is no reason for a person who has been guilty of a serious sin to think that the overall congregation is somehow benefiting so much from one's appointment to a "named" position, and that they would somehow need his talks or his shepherding. Confessing sins serves the purpose of a clean conscience with Jehovah, and indicates humility, and it indicates our faith that Jehovah sees the heart, whether or not the congregation would have ever known or not. (Hebrews 10:24, 25) 24 And let us consider one another so as to incite to love and fine works, 25 not forsaking our meeting together, as some have the custom, but encouraging one another, and all the more so as you see the day drawing near. (Ephesians 4:11-16) 11 And he gave some as apostles, some as prophets, some as evangelizers, some as shepherds and teachers, 12 with a view to the readjustment of the holy ones, for ministerial work, to build up the body of the Christ, 13 until we all attain to the oneness of the faith and of the accurate knowledge of the Son of God, to being a full-grown man, attaining the measure of stature that belongs to the fullness of the Christ. 14 So we should no longer be children, tossed about as by waves and carried here and there by every wind of teaching by means of the trickery of men, by means of cunning in deceptive schemes. 15 But speaking the truth, let us by love grow up in all things into him who is the head, Christ. 16 From him all the body is harmoniously joined together and made to cooperate through every joint that gives what is needed. When each respective member functions properly, this contributes to the growth of the body as it builds itself up in love. Just a last thought, noting that much of what was true about elders is also true of ministerial servants. 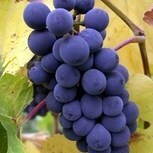 (1 Timothy 3:8-10) 8 Ministerial servants should likewise be serious, not double-tongued, not indulging in a lot of wine, not greedy of dishonest gain, 9 holding the sacred secret of the faith with a clean conscience. 10 Also, let these be tested as to fitness first; then let them serve as ministers, as they are free from accusation. Approved association with Jehovah’s Witnesses requires accepting the entire range of the true teachings of the Bible, including those Scriptural beliefs that are unique to Jehovah’s Witnesses. What do such beliefs include?
. . . That 1914 marked the end of the Gentile Times and the establishment of the Kingdom of God in the heavens, as well as the time for Christ’s foretold presence. . . . If we do not confess this particular belief as an article of faith, should this be confessed to the elders? YES! Absolutely. But we can take it to the elders in the overall world-wide congregation, not the specific elders from our local congregation, and even potentially to the Governing Body, by sending it as correspondence through the appropriate Watch Tower Society channels. Why? Because individual congregation elders will respond differently. Some will disfellowship, some will say to keep quiet about it and wait on the organization. Some might begin questioning themselves. This might begin to cause divisions in the congregation. The most consistent answers will be sent from the Society headquarters, where the ins and outs of this topic are fairly well-known by many of those who handle correspondence. That there is a “faithful and discreet slave” upon earth today ‘entrusted with all of Jesus’ earthly interests,’ which slave is associated with the Governing Body of Jehovah’s Witnesses. The one that has always stood out to me is the example they use from the Bible to support accusing someone of apostasy for rejecting just one of their beliefs: the timing of the resurrection. It would be interesting to see when they stopped preaching 1878 and changed it to 1918. I wonder if they ever confessed their own apostasy in that regard. Do we have Scriptural precedent for taking such a strict position? Indeed we do! Paul wrote about some in his day: “Their word will spread like gangrene. Hymenaeus and Philetus are of that number. These very men have deviated from the truth, saying that the resurrection has already occurred; and they are subverting the faith of some.” (2 Timothy 2:17, 18; see also Matthew 18:6.) There is nothing to indicate that these men did not believe in God, in the Bible, in Jesus’ sacrifice. Yet, on this one basic point, what they were teaching as to the time of the resurrection, Paul rightly branded them as apostates, with whom faithful Christians would not fellowship. That was in 1927. But an organization can change its beliefs without being "apostate." You might be surprised, but I just wrote several paragraphs defending Rutherfod in most of those changes from 1927 to 1931, even if he did get some of them wrong. Maybe I'll save what I wrote for a more appropriate topic. Thanks for the date. The men who decide beliefs for those in their organization can and should be held to the same standards they hold others to, just as Jesus said, "by your standard of measure, it will be measured to you." Matthew 7:2. I'll see if I can find those paragraphs you mention about Rutherford. He's on record as saying anyone who went against Russell's teachings was going against God......then he did that very thing.